Frequently we have presented the interview contents with various well-known persons both in Thailand and abroad in the Interview section of our thumbsup website, this time is another very special one for thumbsup and our readers because we interviewed the author of book called “Start-Up Guide for the Technopreneur” that we do believe those are interested in Startup might have chance to read already. He is David Shelters who is also working in Bangkok now. thumbsup: Before writing this book, what did you do in startup ecosystem before? David: Before moving to Bangkok I was a founder, co-founder or advisor to several start-ups in America. My first entrepreneurial experience was in 1995 when I co-founded a financial trading company. Following a brief uninspiring stint on the trading floor of a large bank I realized I was an entrepreneur at heart and accepted an offer to be the “finance guy” for a new media start-up. Here is where I for the first time raised investment funds and when I came to the realization that having a regular “job” was not for me. In February 2008 I settled in Bangkok. Actually it was not planned. I was on my way to Singapore to seek an investment banking job and made a stop on the way to visit my friend in Bangkok who is a software architect. With the global banking crisis about to happen I made a fortuitous decision to change my plans and stay here to pursue a business opportunity I had identified. During my first year here I had the opportunity to be exposed to the state of the Thai tech start-up community while attending tech events and co-mentoring tech start-ups with my friend. I was astounded how dysfunctional the tech community was and alarmed to discover what I was about to call – the Series A Funding Gap. Series A funding is when a start-up raises investment funds to fund a commercial launch of their innovative product or service. Typically the primary source of Series A funding are individual angel investors and venture capital firms. There were no identifiable angel investors here and the few venture capital firms were so risk averse they only invested in later-stage revenue-generating companies and therefore, could not really be considered venture capital firms. I commenced writing my book in 2009 while visiting a friend in Roi Et for Songkran. Although by that time I had only been in Thailand for just over one year I had already started to present my Finance for Geeks presentations at Bar Camps. In these presentations I spoke of the Series A Funding Gap and other challenges faced by local start-ups. I met many other like-minded individuals who agreed with my assessment. I am proud to say that I was one of the early advocates to improve the start-up ecosystem in Thailand. thumbsup: What is your passion to write this book? David: The inspiration for writing this book is too provide mentoring, particularly financial advice, to start-ups. During my experiences, both in America and Asia, I have witnessed to many promising start-ups succumb to either financial starvation or financial suffocation. Financial starvation occurs when a start-up simply cannot attract the investment funds needed to fund their development efforts or operations. Financial suffocation occurs when a start-up does secure investment funds, however, accept the funds from investors on terms that either place too many constraints on their decision-making or leaves the Founders with very little financial incentive to remain motivated. The decision to commence writing a book was also strongly influenced by the encouragement of several attendees at my Finance for Geeks presentations to go ahead and write about the advice I was presenting. thumbsup: Please describe about your book? David: The book is written in a progression following the typical stages a start-up goes through. The first two chapters serve as a basis to fully understand the proceeding chapters. In these chapters I pose fundamental questions and present realistic expectations aspiring Founders will need to answer and consider for themselves. This is followed by a brief introduction to basic financial principles and concepts relevant to start-ups. The second chapter is devoted to understanding the expectations and capabilities of the various types of prospective investors and what Founders of a tech start-up should expect from them. The next two chapters are focused on Business Planning and Financial Planning respectfully. I have discovered that most start-ups either do not plan sufficiently or do not conduct their planning from the proper strategic perspective. In Chapter Four on Financial Planning I present some conceptual tools that I have created for my use during my entrepreneurial career to help clients improve their decision-making and more efficiently raise investment funds. The next two chapters examine the effective conduct of fund-raising and funding negotiations. Topics include the various types of funding presentations, preparation of prospectus documents, negotiating approaches, the key points of negotiation in funding agreements and creating a negotiating plan. The final two chapters of the book examine the effective organization and decision-making processes for a start-up that has succeeded in securing investment funds and has added new partners into their decision-making structures. Establishing a proper corporate governance regime and managing the diverse interests of stakeholders are the primary concerns of these last two chapters. thumbsup: What is the key differentiation among your book and the others? David: My book is different in several ways. One, the book is written from a mentoring perspective and based almost entirely on personal experiences. I am posing more questions than I am answering. This is because I believe entrepreneurs exploring new markets are facing unique challenges that they can only answer. However they need to consider their situation in the right context so they may know which questions need to be answered. This is the intention of the book. Two, “most start-up” books only cover certain facets of start-up businesses. My book explores all the important facets of a start-up business in a holistic manner and from a strategic perspective in order to create the right context for aspiring entrepreneurs to think and plan accordingly. Topics I cover in the book, such as financial planning and corporate governance have never been, to my knowledge, addressed specifically to high tech start-ups. Third, this book shares experiences that I have had on two different continents. This provides a unique perspective in which universal truths have been more readily revealed and I believe becomes readily apparent and useful to readers. Fourth, most start-up books are written by authors who write based on their experiences in well-regarded and vibrant start-up communities. My experience in America was in a much less known and much less vibrant start-up community and my experience in Asia is with emerging start-up communities. The realities faced by a start-up in Silicon Valley or Boston as compared to a start-up in Thailand are radically different and, thus, the problems faced and the solutions available are very different. I believe my book more accurately conveys the realities for start-ups located in lesser developed and emerging start-up ecosystems. thumbsup: Your book focuses on the new startup or startup running the business for a while? 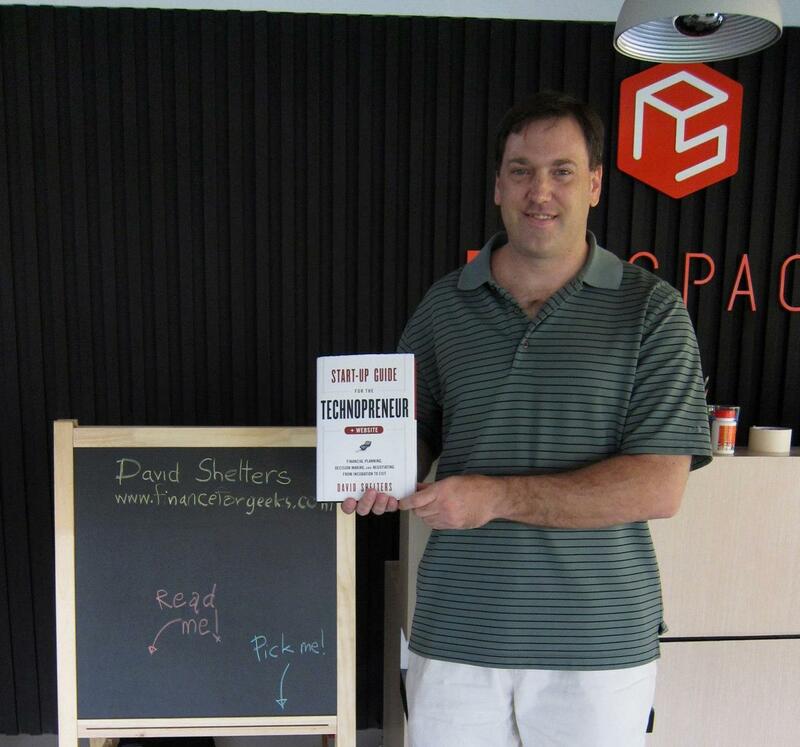 David: The book provides mentoring advice to tech entrepreneurs from “incubation to exit.” In other words, the book has valuable advice and insights for tech entrepreneurs at every stage of their start-up’s life. Thus, the best time to read it is at the beginning of one’s entrepreneurial journey. Indeed my book is an excellent primer to fully understand and get the most value out of reading other books focusing on more specific topics. David: The message I would like to share to aspiring tech entrepreneurs in Thailand is now is a great time to pursue your innovative ideas. Just in the past year the Thai start-up scene has made tremendous progress. We have witnessed several successful Thai start-ups emerge, such as ShopSpot, and promising start-ups, such as Freehap, beginning to attain notoriety and traction outside of Thailand. The Series A Funding gap is starting to shrink. The Thai start-up community, recognized for its abundance of tech talent, has begun to attract greater attention from Silicon Valley and neighboring countries. A much welcomed recent proliferation of co-working spaces and tech related events has occurred throughout Thailand. For start-ups or aspiring entrepreneurs in Thailand to take advantage of such positive developments theymust get involved. Become a member of a co-working space, participate in start-up programs such as Three Day Start-Up, Start-Up Weekend or AIS Start-UP Bootcamp, attend tech events such as Bar Camp and Echelon, stay informed by viewing local start-up news at Thumbsup or regional start-up news at e27 and seek a strategic partner who may have a mutual interest in seeing your innovative idea become reality and provide the kind of traction you need to be an attractive investment opportunity for prospective investors. Another important word of advice I would like to give is that to increase the probability of attracting investors you will need to think regional or global and develop an innovative product or service that is scalable, likely platform-based. Unfortunately in most cases the domestic market for your high-tech innovation may not be large enough to attract investors seeking a large Return on Investment. There is an abundance of tech talent and innovative minds in Thailand. It is in everyone’s interest to participate and support the development of the local start-up system and establish Thailand as a globally recognized center of innovation! David possesses over fifteen years of entrepreneurial experience as a founder, co-founder, financial advisor or mentor to numerous start-ups in both America and Asia. He currently resides in Bangkok, Thailand where he provides investment banking, business brokerage and financial advisement services through his company, Karon Business Consulting. He is also an active participant in the local tech entrepreneurial scene presenting at numerous Bar Camps and other tech conferences. He currently advises several local tech start-ups and conducts a monthly workshop at Hubba co-working space. 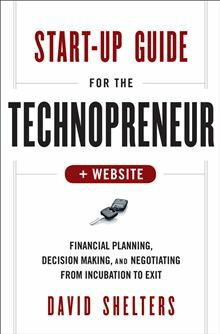 Recently David’s first book, Start-Up Guide for the Technopreneur, was published by John Wiley & Sons and his blog at www.financeforgeeks.com was launched. David holds a B.A. Degree in History and Political Science from the State University of New York at Albany, an M.S. Degree in International Affairs from Florida State University and completed the coursework for the Masters in International Business Studies Degree from Georgia State University. He was formerly Series 3 and Series 7 Licensed in the U.S. permitting trading on both the stock and futures markets respectfully.